Brian S. Dervishi graduated with high distinction from the University of Michigan in 1978, where he also received his law degree. 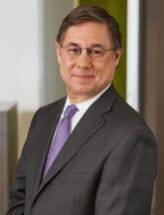 He was admitted to The Florida Bar in 1982, practiced with Jeff Weissman at a prominent South Florida law firm for the next six years, and joined Mr. Weissman’s firm in 1990. He has participated in many jury and non-jury trials, evidentiary hearings, and appeals in state and federal courts. He became a member of the Trial Bar of the U.S. District Court for the Southern District of Florida in 1983. In addition to practicing in all of Florida’s state courts, Mr. Dervishi is admitted to practice in the U.S. Supreme Court, the U.S. Court of Appeals for the Eleventh Circuit, and the U.S. District Courts and U.S. Bankruptcy Courts of the Southern and Middle Districts of Florida. He is the managing partner of the firm’s Miami office.